For the British politician, see John Cockcroft (politician). For the cardiologist, see John R. Cockcroft. Sir John Douglas Cockcroft, OM, KCB, CBE, FRS (27 May 1897 – 18 September 1967) was a British physicist who shared the Nobel Prize in Physics in 1951 for splitting the atomic nucleus with Ernest Walton, and was instrumental in the development of nuclear power. After service on the Western Front with the Royal Field Artillery during the Great War, Cockcroft studied electrical engineering at Manchester Municipal College of Technology. He then won a scholarship to St. John's College, Cambridge, where he sat the tripos exam in June 1924, becoming a wrangler. Ernest Rutherford accepted Cockcroft as a research student at the Cavendish Laboratory, and Cockcroft completed his doctorate under Rutherford's supervision in 1928. With Ernest Walton and Mark Oliphant he built what became known as a Cockcroft–Walton accelerator. Cockcroft and Walton used this to perform the first artificial disintegration of an atomic nucleus, a feat popularly known as splitting the atom. During the Second World War Cockcroft became Assistant Director of Scientific Research in the Ministry of Supply, working on radar. He was also a member of the committee formed to handle issues arising from the Frisch–Peierls memorandum, which calculated that an atomic bomb could be technically feasible, and of the MAUD Committee which succeeded it. In 1940, as part of the Tizard Mission, he shared British technology with his counterparts in the United States. Later in the war, the fruits of the Tizard Mission came back to Britain in the form of the SCR-584 radar set and the proximity fuze, which were used to defeat the V-1 flying bomb. In May 1944, he became director of the Montreal Laboratory, and oversaw the development of the ZEEP and NRX reactors, and the creation of the Chalk River Laboratories. After the war Cockcroft became the director of the Atomic Energy Research Establishment (AERE) at Harwell, where the low-powered, graphite-moderated GLEEP became the first nuclear reactor to operate in western Europe when it was started on 15 August 1947. This was followed by BEPO in 1948. Harwell was involved in the design of the reactors and the chemical separation plant at Windscale. Under his direction it took part in frontier fusion research, including the ZETA program. His insistence that the chimney stacks of the Windscale reactors be fitted with filters was mocked as Cockcroft's Folly until the core of one of the reactors ignited and released radionuclides during the Windscale fire of 1957. From 1959 to 1967, he was the first Master of Churchill College, Cambridge. He was also chancellor of the Australian National University in Canberra from 1961 to 1965. John Douglas Cockcroft was born in Todmorden, West Yorkshire, England, on 27 May 1897, the eldest son of a mill owner, John Arthur Cockcroft, and his wife Annie Maude née Fielden. He had four younger brothers; Eric, Philip, Keith and Lionel. His early education was at the Church of England school in Walsden from 1901 to 1908, at Todmorden Elementary School from 1908 to 1909, and at Todmorden Secondary School from 1909 to 1914, where he played football and cricket. Among the girls at the school was his future wife, Eunice Elizabeth Crabtree. In 1914, he won a County Major Scholarship, West Riding of Yorkshire, to the Victoria University of Manchester, where he studied mathematics. The Great War broke out in August 1914. Cockcroft completed his first year at Manchester in June 1915. He joined the Officers' Training Corps there, but did not wish to become an officer. During the summer break he worked at a YMCA canteen at Kinmel Camp in Wales. He enlisted in the British Army on 24 November 1915. On 29 March 1916, he joined the 59th Training Brigade, Royal Field Artillery, where he was trained as a signaller. He was then posted to B Battery, 92nd Field Artillery Brigade, one of the units of the 20th (Light) Division, on the Western Front. Cockcroft participated in the Advance to the Hindenburg Line and the Third Battle of Ypres. He applied for a commission, and despite not having attended a public school, was accepted. He was sent to Brighton in February 1918 to learn about gunnery, and in April 1918, to the Officer Candidate School in Weedon Bec in Northamptonshire, where he was trained as a field artillery officer. He was commissioned as a lieutenant in the Royal Field Artillery on 17 October 1918. After the war ended, Cockcroft was released from the Army in January 1919. He elected not to return to Victoria University of Manchester, but to study electrical engineering at Manchester Municipal College of Technology. Because he had completed a year at Victoria University of Manchester, he was allowed to skip the first year of the course. He received his BSc in June 1920. Miles Walker, the professor of electrical engineering there, persuaded him to take up an apprenticeship with Metropolitan Vickers. He obtained a 1851 Exhibition Scholarship from the Royal Commission for the Exhibition of 1851, and submitted his MSc thesis on the "Harmonic Analysis for Alternating Currents" in June 1922. Walker then suggested Cockcroft sit for a scholarship to St. John's College, Cambridge, Walker's alma mater. Cockcroft was successful, winning a £30 scholarship and a £20 bursary awarded to undergraduates of limited means. Metropolitan Vickers gave him £50 subject to his returning after completing his degree. Walker and an aunt made up the balance of the £316 fee. As a graduate of another university, he was allowed to skip the first year of the tripos. He sat the tripos exam in June 1924, achieved a B* as a wrangler, and was awarded his BA degree. Cockcroft married Elizabeth Crabtree on 26 August 1925, in a ceremony at the Bridge Street United Methodist Church in Todmorden. They had six children. The first, a boy known as Timothy, died in infancy. They subsequently had four daughters, Joan Dorothea (Thea), Jocelyn, Elisabeth Fielden and Catherine Helena; and another son, Christopher Hugh John. Ernest Rutherford accepted Cockcroft as a research student at the Cavendish Laboratory on the recommendation of Miles Walker and the director of research at Metropolitan Vickers. Cockcroft enrolled as a PhD student in 1924, with a Foundation Scholarship of St John's College, and a State Scholarship. Under Rutherford's supervision, he wrote his doctoral thesis "On phenomena occurring in the condensation of molecular streams on surfaces", which was published in the Proceedings of the Royal Society. He was awarded his doctorate on 6 September 1925. During this time he was an assistant to the Russian physicist Peter Kapitza, who was working on the physics of magnetic fields in extremely low temperatures. Cockcroft helped with the design and construction of helium liquefiers. In 1919, Rutherford had succeeded in disintegrating nitrogen atoms with alpha particles emitted from decaying radium atoms. This and subsequent experiments hinted at the structure of atomic nuclei. To explore it further, he needed an artificial means of creating particles with a velocity high enough to overcome the charge of the nucleus. This opened a new line of research at the Cavendish Laboratory. He assigned Cockcroft, Thomas Allibone and Ernest Walton to the problem. They built what became known as a Cockcroft–Walton accelerator. Mark Oliphant designed a proton source for them. A crucial moment came when Cockcroft read a paper by George Gamow on quantum tunnelling. Cockcroft realised that as a result of this phenomenon, the desired effect could be achieved with much lower voltages that first thought. In fact, he calculated that protons with energy of just 300,000 electronvolts would be able to penetrate a boron nucleus. Cockcroft and Walton worked on their accelerator for the next two years. Rutherford obtained a £1,000 grant from the University of Cambridge for them to buy a transformer and other equipment they needed. This feat was popularly known as splitting the atom. For this accomplishment, Cockcroft and Walton were awarded the Hughes Medal in 1938, and the Nobel Prize in Physics in 1951. They went on to disintegrate carbon, nitrogen and oxygen using protons, deuterons and alpha particles. They demonstrated that they had produced radioactive isotopes, including carbon-11 and nitrogen-13. In 1929, Cockcroft was appointed a Supervisor in Mechanical Sciences at St John's College. He was appointed a Supervisor in Physics in 1931, and in 1933 became the junior bursar, making him responsible for the upkeep of the buildings, many of which were suffering from neglect. The college gatehouse had to be partly taken down in order to repair damage done by deathwatch beetles, and Cockcroft supervised rewiring of the electrics. In 1935, Rutherford appointed him the director of research at the Mond Laboratory vice Kapitza, who had returned to the Soviet Union. He supervised the installation of new cryogenic equipment, and supervised low temperature research. He was elected a Fellow of the Royal Society in 1936, and in 1939 was elected the Jacksonian Professor of Natural Philosophy, effective 1 October 1939. Cockcroft and Walton were well aware of the limits of their accelerator. A much better design had been developed in the United States by Ernest Lawrence, which he called the cyclotron. The Cavendish Laboratory was able to keep ahead of the Americans despite having an inferior accelerator with clever physics, but Cockcroft pressed Rutherford to obtain a cyclotron for the Cavendish laboratory. Rutherford baulked at the price tag, but a £250,000 gift from Lord Austin enabled a 36-inch (910 mm) cyclotron, based on Lawrence's design, to be built, along with a new wing to house it. Cockcroft supervised the work. The cyclotron was in operation by October 1938, and the new wing was completed in 1940. Oliphant felt that the cyclotron was not big enough, and commenced construction of a larger 60-inch cyclotron at the University of Birmingham. Its construction was delayed by the outbreak of the Second World War in Europe in 1939, and it too would be obsolescent when it was completed after the war. At the outbreak of the Second World War, Cockcroft took up the post of Assistant Director of Scientific Research in the Ministry of Supply, working on radar. In 1938, Sir Henry Tizard showed Cockcroft Chain Home, the ring of coastal early warning radar stations built by the Royal Air Force (RAF) to detect and track aircraft. Now, he helped deploy scientists to help get the system fully operational. In 1940, he became part of the Advisory Council for Scientific Research and Technical Development. In April 1940, along he became a member of the Committee for the Scientific Study of Air Warfare formed to handle issues arising from the Frisch–Peierls memorandum, which calculated that an atomic bomb could be technically feasible. This committee was succeeded by the MAUD Committee, of which Cockcroft was also a member, in June 1940. This committee directed the ground-breaking early research in Britain. In August 1940, Cockcroft travelled to the United States as part of the Tizard Mission. Because Britain had developed many new technologies but lacked the industrial capacity to fully exploit them, it was decided to share them with the United States, although that nation was not yet at war. The information provided by the Tizard Mission contained some of the greatest scientific advances made during the war. The shared technology included radar technologies, in particular the greatly improved cavity magnetron designed by Oliphant's group at Birmingham, which the American historian James Phinney Baxter III described as "the most valuable cargo ever brought to our shores", the design for the Proximity fuse, details of Frank Whittle's jet engine and the Frisch-Peierls memorandum describing the feasibility of an atomic bomb. Though these may be considered the most significant, many other items were also transported, including designs for rockets, superchargers, gunsights and submarine detection devices. He returned to Britain in December 1940. Soon after his return, Cockcroft was appointed Chief Superintendent of the Air Defence Research Development Establishment (ADRDE) at Christchurch, Hampshire. His focus was on the use of radar for shooting down enemy aircraft. The GL Mk. III radar was developed as a target tracking and predicting radar, but by 1942 the SCR-584 radar developed for the same purpose in the United States became available, and Cockcroft recommended that it be acquired under Lend-Lease. On his own initiative, he acquired SCR-584 sets for testing, and trials conducted on the Isle of Sheppey in October 1943 conclusively demonstrated that SCR-584 was superior. This made Cockcroft very unpopular at the Ministry of Supply, but he had intelligence that the Germans were planning to deploy the V-1 flying bomb. On 1 January 1944, Lieutenant-General Sir Ronald Weeks sent Washington an urgent request for 134 SCR-584 sets. The proximity fuze had been pioneered by Alan Butement. The idea was that if a shell could explode when it was near an enemy aircraft, a near miss would be nearly as effective as a direct hit. The technical problem was to miniaturise a radar set, and make it sturdy enough to be fired from a gun barrel. The second problem had been solved by the Germans; a dud German bomb was salvaged that had valves that could withstand the acceleration. Plans were given to the Americans by the Tizard Mission, but work continued in Britain, where a team was established at Christchurch under Charles Drummond Ellis in February 1942. Work proceeded fitfully, and by 1943, production was still two years away. On a visit to the United States in November 1943, Cockcroft discussed adapting the American proximity fuze for British use with Merle Tuve. As a result, 150,000 fuzes for QF 3.7-inch AA guns were ordered on 16 January 1944. The fuzes arrived in time to engage the V-1 flying bombs in August 1944, shooting down 97 per cent of them. For his services, he was made a Commander of the Order of the British Empire in June 1944. In August 1943, the Quebec Agreement subsumed the British Tube Alloys project into the Manhattan Project, and established the Combined Policy Committee to control the Manhattan Project. A final agreement was spelt out on 20 May 1944. Under it, the Americans would assist with the construction of a heavy water-moderated nuclear reactor in Canada, and would provide technical assistance with matters such as corrosion and the effects of radiation on materials. They would not provide details about plutonium chemistry or metallurgy, although irradiated uranium slugs were made available for the British to work it out for themselves. A sticking point was the director of the Montreal Laboratory, Hans von Halban, who was a poor administrator, did not work well with the Canadians, and was regarded as a security risk by the Americans. In April 1944 a Combined Policy Committee meeting at Washington agreed that Montreal Laboratory scientists who were not British subjects would leave, and Cockcroft would become the new director of the Montreal Laboratory in May 1944. On 24 August 1944, the decision was taken to build a small reactor in order to test the Montreal Laboratory's calculations relating to such matters as lattice dimensions, sheathing materials, and control rods, before proceeding with the full-scale NRX reactor. This was named ZEEP, for Zero Energy Experimental Pile. Building reactors in downtown Montreal was out of the question; the Canadians selected, and Groves approved, a site at Chalk River, Ontario, on the south bank of the Ottawa River some 110 miles (180 km) north west of Ottawa. The Chalk River Laboratories opened in 1944, and the Montreal Laboratory was closed in July 1946. ZEEP went critical on 5 September 1945, becoming the first operating nuclear reactor outside the United States. The larger NRX followed on 21 July 1947. With five times the neutron flux of any other reactor, it was the most powerful research reactor in the world. Originally designed in July 1944 with an output of 8 MW, the power was raised to 10 MW through design changes such as replacing uranium rods clad in stainless steel and cooled by heavy water with aluminium-clad rods cooled by light water. 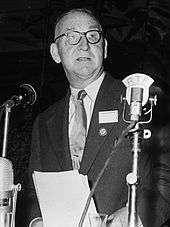 Cockcroft was shocked when he was informed on 10 September 1945 that the British physicist Alan Nunn May, who worked at the Chalk River Laboratories, was a Soviet spy. In August 1947, Cockcroft was one of the scientists who signed a petition urging that Nunn May's ten-year prison sentence be reduced, an act he later regretted. In April 1945, Cockcroft and Oliphant scouted a site for a similar establishment in Britain, settling on RAF Harwell. Cockcroft was offered the directorship of the Atomic Energy Research Establishment (AERE) at Harwell on 9 November 1945. The official announcement was made on 29 January 1945, but the news leaked two months before the announcement, and before the Canadian government was informed, creating a diplomatic incident. It was agreed that Cockcroft would not depart until a successor was found, and he did not depart Chalk River for Harwell until 30 September 1946. In the meantime he recruited staff for the new laboratory. Klaus Fuchs from the Manhattan Project's Los Alamos Laboratory became head of the Theoretical Physics; H.W.B. Skinner of General Physics; Robert Spence, Cockcroft's deputy at Montreal Laboratory, became head of Chemistry; H.W.B. Skinner, of General Physics; Otto Frisch, of Nuclear Physics; and John Dunworth, of Reactor Physics. Fuchs was later arrested as a Soviet spy on 3 February 1950. The low-powered, graphite-moderated GLEEP, which stood for Graphite Low Energy Experimental Pile, was designed by the Montreal Laboratory, and became the first nuclear reactor to operate in Western Europe when it was started on 15 August 1947. This was followed by BEPO, a 6 MW research reactor designed by AERE, on 3 July 1948. Because heavy water was unavailable in Britain, BEPO was designed and built as a graphite-moderated reactor. Harwell was involved in the design of reactors at Windscale, and the chemical separation plant there. The passage of the Atomic Energy Act of 1946 (McMahon Act) in August 1946, made it clear that the UK would no longer be allowed access to the United States' atomic research. This partly resulted from the arrest for espionage of Alan Nunn May in February 1946. Cockcroft helped negotiate a new, more informal and unsigned agreement with the Americans that was announced on 7 January 1948, known as the Modus Vivendi. The renewed cooperation that he hoped for under the agreement proved illusory. The development of the independent British nuclear deterrent led to the Atomic Energy Act being amended in 1958, and to a resumption of the nuclear Special Relationship between America and Britain under the 1958 US–UK Mutual Defence Agreement. Under Cockcroft's direction, AERE took part in frontier fusion research in the post-war years, including the ZETA program. Sir George Paget Thomson began research in nuclear fusion at Imperial College London in 1946. This was subsequently transferred to the Associated Electrical Industries Laboratory at Aldermaston, under Allibone's direction. Research independently began at Oxford University under Peter Thonemann. 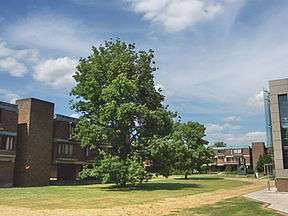 In 1951, Cockcroft arranged for the Oxford group to be transferred to Harwell. Cockcroft approved the construction of ZETA (Zero Energy Thermonuclear Assembly) by the Thonemann's Harwell group, and the smaller Sceptre by Allibone's AEI group. James L. Tuck's group at the Los Alamos Laboratory was also researching fusion, and Cockcroft struck an agreement with the Americans that they would release their results together, which was done in 1958. Despite Cockcroft's perennial optimism that a breakthrough was imminent, fusion power remained an elusive goal. As director of the AERE, Cockcroft famously insisted that the coolant discharge chimney stacks of the Windscale plutonium production reactors be fitted, at great expense, with high performance filters. This was in response to a report of uranium oxide being found in the vicinity of the X-10 Graphite Reactor in Oak Ridge, Tennessee. Since this was decided after the stacks had been designed, they produced iconic lumps in the shape of the structures. The reactors were designed to remain clean and uncorroded during use, thus it was not considered that there would be any particulate present for the filters to catch, and the uranium oxide at Oak Ridge turned out to be from the chemical plant, and not the reactor after all. These filters were therefore known as Cockcroft's Folly until the core of one of the two reactors famously caught fire in the Windscale fire of 1957, and the filters prevented the disaster from becoming a catastrophe. Terence Price, future scientific advisor at the Ministry of Defence in the 1960s, pointed out "the word folly did not seem appropriate after the accident". On 24 January 1959, Churchill College, Cambridge, was formally recognised by the University. Two days later, the Trustees announced that Cockcroft would be its first Master. Although it would also teach the humanities and social sciences, 70 per cent of the student body would study science and technology related subjects. Cockcroft nominated the first fellows, and he oversaw the initial construction. Controversy arose over the chapel. A 1961 plan to build it at the entrance to the college, as was traditional at Cambridge, led to the immediate resignation of Francis Crick, a staunch atheist, as a fellow. The first undergraduates arrived in 1961, and the college, still incomplete, was formally opened by Prince Philip, Duke of Edinburgh, on 5 June 1964. Cockcroft was president of the Institute of Physics from 1954 to 1956, and of the British Association for the Advancement of Science. He served as chancellor of the Australian National University in Canberra from 1961 to 1965, a largely symbolic post that involved a visit once a year for degree conferring ceremonies. He delivered the Rutherford Memorial Lecture in 1944. He was the British delegate on the Council of CERN as well as Chairman of the Nuclear Physics Sub-Committee of the Department of Scientific and Industrial Research. In addition to winning, along with Walton, the Hughes Medal and 1951 Nobel Prize in Physics, Cockcroft received numerous awards and accolades over the years. He became a knight bachelor in December 1948. This was normal: scientists were seldom inducted into the chivalric orders, but he was created a Knight Commander of the Order of the Bath in May 1953. Perhaps because this was rare, scientists normally regarded becoming a member of the Order of Merit as a greater honour; Cockcroft became an Order of Merit member in December 1956. He also received the Royal Medal in 1954, the Faraday Medal in 1955, the American Medal of Freedom in 1947 and Atoms for Peace Award in 1961, He was made a Chevalier de la Legion d'Honneur by France in 1952, and was awarded the Knight Commander of the Military Order of Christ by Portugal in 1955, and the Grand Cross of the Order of Alfonso X by Spain in 1958. Cockcroft died from a heart attack at his home at Churchill College, Cambridge, on 18 September 1967. He is buried at the Parish of the Ascension Burial Ground in Cambridge, in the same grave as his son Timothy. A memorial service was held at Westminster Abbey on 17 October 1967. Several buildings in the United Kingdom are named after him: the Cockcroft building at the New Museums Site of the University of Cambridge, comprising a lecture theatre and several hardware laboratories; the Cockcroft Institute at Daresbury Laboratory in Cheshire; the Cockcroft building of the University of Brighton; and the Cockcroft building of the University of Salford. The oldest building at the Research School of Physical Sciences and Engineering, Australian National University, the Cockcroft building, is named after him. The papers of Sir John Cockcroft are held at the Churchill Archives Centre in Cambridge, and are accessible to the public. They include Cockcroft's lab books, correspondence, photographs (with dozens depicting the construction of Chalk River, CKFT 26/4), theses and political papers. ↑ Allibone, T. E. (1967). "Sir John Cockcroft, O.M., F.R.S". British Journal of Radiology. 40 (479): 872–873. doi:10.1259/0007-1285-40-479-872. PMID 4862179. ↑ Hartcup & Allibone 1984, p. 2. 1 2 3 4 5 6 7 8 9 10 11 12 13 14 Oliphant, M. L. E.; Penney, L. (1968). "John Douglas Cockcroft. 1897–1967". Biographical Memoirs of Fellows of the Royal Society. 14: 139. doi:10.1098/rsbm.1968.0007. ↑ Hartcup & Allibone 1984, pp. 4–5. ↑ Hartcup & Allibone 1984, pp. 5–7. ↑ Hartcup & Allibone 1984, pp. 10–15. ↑ The London Gazette: (Supplement) no. 30993. p. 13089. 5 November 1918. ↑ Hartcup & Allibone 1984, pp. 15–19. ↑ Hartcup & Allibone 1984, pp. 20–25. ↑ Hartcup & Allibone 1984, p. 34. ↑ Cockcroft, John Douglas. "On phenomena occurring in the condensation of molecular streams on surfaces". University of Cambridge. Retrieved 4 September 2016. ↑ Cockcroft, J. D. (1 June 1928). "On Phenomena Occurring in the Condensation of Molecular Streams on Surfaces". Proceedings of the Royal Society A. 119: 293–312. doi:10.1098/rspa.1928.0099. ISSN 1364-5021. ↑ Hartcup & Allibone 1984, p. 33. ↑ Hartcup & Allibone 1984, pp. 37–42. ↑ Gamow, George (March 1928). "Zur Quantentheorie des Atomkernes". Zeitschrift für Physik. 51 (3): 204–212. doi:10.1007/BF01343196. ISSN 0044-3328. ↑ Hartcup & Allibone 1984, p. 43. 1 2 Hartcup & Allibone 1984, pp. 50–53. ↑ "Award winners : Hughes Medal". Royal Society. Retrieved 4 September 2016. 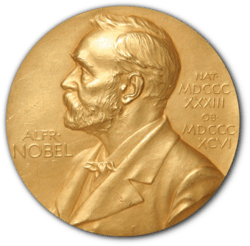 ↑ "The Nobel Prize in Physics 1951". Nobel Foundation. Retrieved 4 September 2016. ↑ Cockcroft, J. D.; Walton, E. T. S. (1 June 1932). "Experiments with High Velocity Positive Ions. (I) Further Developments in the Method of Obtaining High Velocity Positive Ions". Proceedings of the Royal Society A. –136: 619–630. doi:10.1098/rspa.1932.0107. ISSN 1364-5021. ↑ Cockcroft, J. D.; Walton, E. T. S. (1 July 1932). "Experiments with High Velocity Positive Ions. II. The Disintegration of Elements by High Velocity Protons". Proceedings of the Royal Society A. 137: 229–242. doi:10.1098/rspa.1932.0133. ISSN 1364-5021. ↑ Cockcroft, J. D.; Walton, E. T. S. (1 May 1934). "Experiments with High Velocity Positive Ions. III. The Disintegration of Lithium, Boron, and Carbon by Heavy Hydrogen Ions". Proceedings of the Royal Society A. 144: 704–720. doi:10.1098/rspa.1934.0078. ISSN 1364-5021. ↑ Cockcroft, J. D.; Walton, E. T. S. (1 January 1935). "Experiments with High Velocity Positive Ions. IV. The Production of Induced Radioactivity by High Velocity Protons and Diplons". Proceedings of the Royal Society A. 148: 225–240. doi:10.1098/rspa.1935.0015. ISSN 1364-5021. ↑ Cockcroft, J. D.; Lewis, W. B. (2 March 1936). "Experiments with High Velocity Positive Ions. V. Further Experiments on the Disintegration of Boron". Proceedings of the Royal Society A. 154: 246–261. doi:10.1098/rspa.1936.0049. ISSN 1364-5021. ↑ Cockcroft, J. D.; Lewis, W. B. (2 March 1936). "Experiments with High Velocity Positive Ions. VI. The Disintegration of Carbon, Nitrogen, and Oxygen by Deuterons". Proceedings of the Royal Society A. 154: 261–279. doi:10.1098/rspa.1936.0050. ISSN 1364-5021. ↑ Hartcup & Allibone 1984, pp. 368-71. ↑ Clarke, Dr N. M. "The Nuffield Cyclotron at Birmingham". University of Birmingham. Retrieved 2 May 2013. ↑ Hartcup & Allibone 1984, pp. 89–90. ↑ Hartcup & Allibone 1984, p. 94. ↑ Hartcup & Allibone 1984, pp. 120–124. 1 2 Hartcup & Allibone 1984, pp. 96–103. ↑ "Radar". Newsweek. 12 January 1997. Retrieved 4 September 2016. 1 2 Hartcup & Allibone 1984, pp. 108–111. ↑ Hartcup & Allibone 1984, p. 96. ↑ The London Gazette: no. 36544. p. 2586. 2 June 1944. ↑ Hewlett & Anderson 1962, pp. 277–280. ↑ Hewlett & Anderson 1962, pp. 281–284. ↑ Avery 1998, pp. 184–185. ↑ Gowing 1964, pp. 206–207, 209–214. ↑ Goldschmidt, Bertrand. "How it All Began in Canada – The Role of the French Scientists". Canadian Nuclear Society. Retrieved 6 May 2016. 1 2 Laurence, George C. "Early Years of Nuclear Energy Research in Canada" (PDF). Retrieved 19 May 2016. ↑ Jones 1985, pp. 246–247. 1 2 Close 2015, pp. 102–104. ↑ Manhattan District 1947, p. 9.23. ↑ Fidecaro, Giuseppe (4 December 1996). "Bruno Pontecorvo: From Rome To Dubna (personal recollections)" (PDF). Università di Pisa. Retrieved 15 April 2016. ↑ Manhattan District 1947, pp. 9.9–9.10. ↑ Hartcup & Allibone 1984, pp. 133–134. ↑ Hartcup & Allibone 1984, pp. 136–137. ↑ Hartcup & Allibone 1984, pp. 139–146. ↑ Hartcup & Allibone 1984, p. 158. ↑ Hartcup & Allibone 1984, pp. 146–147. ↑ Gowing & Arnold 1974a, pp. 379-382. ↑ Gowing & Arnold 1974, pp. 105–108. ↑ Hartcup & Allibone 1984, pp. 222–223. ↑ Gott, Richard (April 1963). "The Evolution of the Independent British Deterrent". International Affairs. 39 (2): 238–252. ISSN 1468-2346. JSTOR 2611300. ↑ Hartcup & Allibone 1984, pp. 201–204. ↑ Leatherdale, Duncan (14 November 2014). "Windscale Piles: Cockcroft's Follies avoided nuclear disaster". BBC. Retrieved 3 September 2016. ↑ Hartcup & Allibone 1984, p. 211. ↑ Hartcup & Allibone 1984, pp. 250–258. ↑ The London Gazette: no. 38161. p. 2. 30 December 1947. ↑ Hartcup & Allibone 1984, p. 193. ↑ The London Gazette: no. 39863. p. 2943. 26 May 1953. ↑ The London Gazette: no. 40960. p. 4. 28 December 1956. ↑ The London Gazette: no. 39462. p. 789. 8 February 1952. ↑ Hartcup & Allibone 1984, p. 284. ↑ "Cockcroft Building". University of Cambridge. Retrieved 5 September 2016. ↑ "Cockcroft Institute". Cockcroft Institute. Retrieved 5 September 2016. ↑ "Presentation Notes: Cockcroft Building, University of Brighton". University of Brighton. Retrieved 5 September 2016. ↑ "New £3m Megalab unveiled". University of Salford. Retrieved 5 September 2016. ↑ "Cockcroft Building". Retrieved 5 September 2016. ↑ "The Papers of Sir John Cockcroft". Janus. Retrieved 3 September 2016. Gowing, Margaret; Arnold, Lorna (1974a). Independence and Deterrence: Britain and Atomic Energy, 1945–1952, Volume 2, Policy Execution. London: Macmillan. ISBN 0-333-16695-7. OCLC 59047125. Manhattan District (1947). Manhattan District History, Book I, Volume 4, Chapter 9 – Assistance to the Canadian Pile Project (PDF). Washington, D.C.: United States Department of Energy. OCLC 889323140. Cathcart, Brian (2005). The Fly in the Cathedral: How a Small Group of Cambridge Scientists Won the Race to Split the Atom. London: Penguin. ISBN 0-14-027906-7. OCLC 937140229. "Archival material relating to John Cockcroft". UK National Archives.